I have low prices on Toyo Tires.. but also carry Nexen Tires and some other brands so shoot me a pm if your looking for something different. 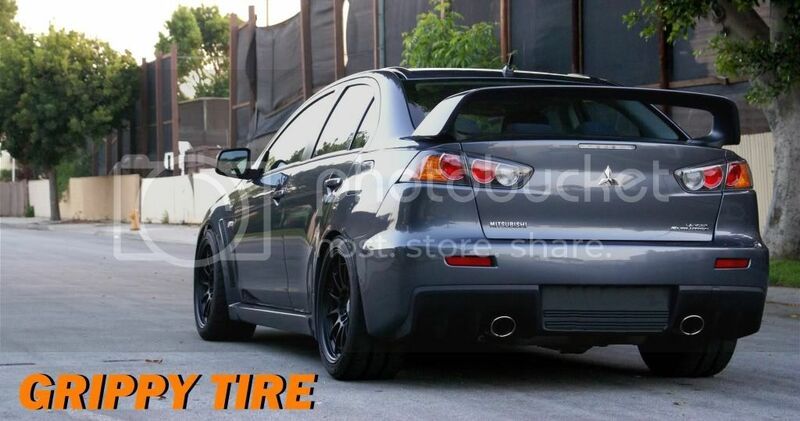 Grippy Tire also has deals on Enkei Wheels. Special thanks to MikeW-RRE (RoadRaceEngineering) for recommending me to ClubRalliart!! Mike is also the guy who tunes my car and I highly recommend you to take your car to him at RRE. Our hours are limited but we always answer messages, emails, pm's throughout the whole entire day and night. So please don't hesitate to contact us. Grippy sells tires and wheels we do not offer any services as of yet. Last edited by Grippy Tire; 05-20-2010 at 08:56 PM.